Opening Day: RRRRrr You Ready For Baseball! In the words of the local news, today is the start of the most anticipated season of baseball in Pittsburgh is almost two decades! That’s because after a 20 losing seasons, the Pirates finished above .500 last year and made the playoffs. I have the benefit of working directly across from PNC Park. Our company has a rooftop deck were I will celebrate tomorrow’s home opener. 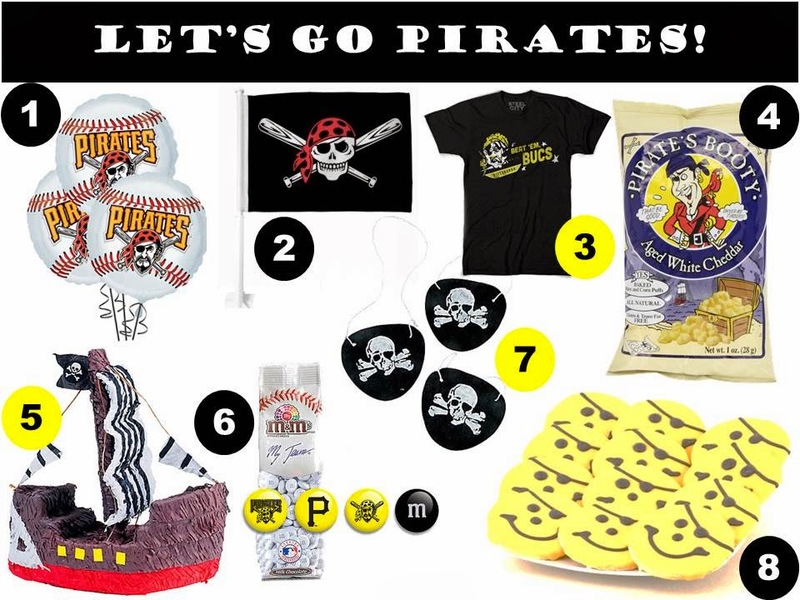 If you are planning a Pirates tailgate party this year, I put together a list of some fun Pirates party gear! YES! Everything from this makes me so happy! Especially Eat 'n Park Smiley cookies, you know it's almost summer when the Pirates ones come out!! Happy Opening Day!